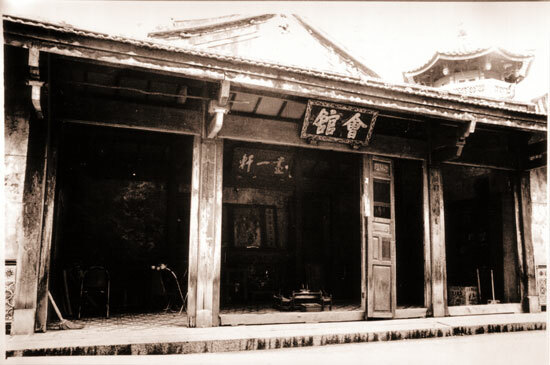 Founded in 1840, the Huay Kuan’s main objectives are to promote education, provide social welfare and preserve and promote Chinese language and culture. From its founding leaders: Tan Tock Seng, Tan Kim Ching, Tan Kah Kee, Tan Boo Liat, Tan Lark Sye, Wee Cho Yaw, Chua Thian Poh to the present President, Tan Cheng Gay, the Huay Kuan has steadfastly held on to its beliefs and continues to contribute towards the community and nation building. In the 19th century, trade winds fanned the flames of diaspora from China’s Fujian province to many parts of South East Asia. One of these promising lands is the free trade heartland of Singapore. Many of these early settlers arrived in this foreign land alone and thus brought about the rise of clan associations. The Singapore Hokkien Huay Kuan was no different. It provided critical assistance in securing accommodations, jobs and burial services for the early immigrants. While adopting many customs of the foreign land, these new xinke (新客) also brought with them their native traditions and cultures. This heritage legacy is something which we should all be proud of.